This is the Chapter 6 of my e-book Silicon Valley for Foreigners, that can be downloaded for free on www.siliconvalleybook.com or purchased for $2.99 on the iBookStore and Kindle. A new chapter will be posted on this blog every week. Ask your friends outside the tech world what would be the main reasons for the success of a given tech startup. You will hear an assortment of answers such as money raised, quality of the product, luck, ecosystem, timing, marketing, etc. All of these, of course, are influential drivers. Most people, however, miss the one characteristic that seems key to this question. After talking to thousands of entrepreneurs around the world and in Silicon Valley, I came to the conclusion that a founder’s personality is the most influential driver for successful startups. Great founders have a combination of rare psychological traits that result in almost impossible achievements. These traits are not exclusive to the Valley but are more common here due to the founder centric culture. Here are some of them. Some founders are so obstinate about their company’s success that they invent a parallel reality where rules can be rewritten or bent. Failure is not an option. The impossible becomes possible. 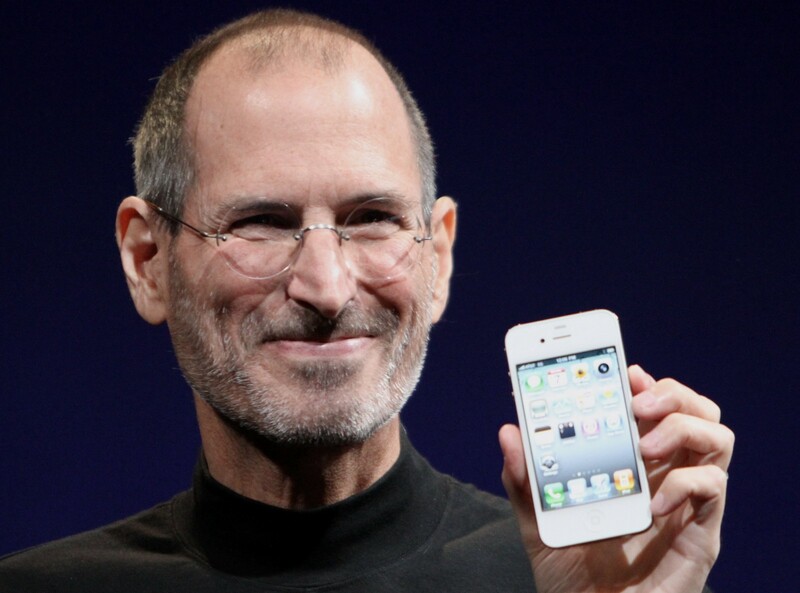 Steve Jobs was a great example of a founder with this trait. With no technical background at all, Jobs learned the minute details of how to build computers and developed a great understanding of what was possible to be created with current and future technologies. In private, Jobs was viewed by employees as a boss who pushed them to the edge of what they thought to be possible. The ones who could tolerate his demanding and abrasive personality said on record they ended up doing the best work of their lives. Somehow, Jobs knew more than the experts. His delusion made him a power of nature. When an entrepreneur is borderline delusional like Jobs was, only a few people can understand their brilliance. There is a very thin and blurred line between genius and crazy. Disruptive startups are usually laughed at, rejected by investors, misunderstood by the market, and underestimated by competitors. At the beginning of their journey, great founders are seen by society as naïve dreamers that do not know “how things work.” They are treated as eccentric or stubborn by family and friends and face, alone, enormous pressure in order to stick to their original vision. True entrepreneurs learn how to transform constant rejection into determination to reach their goals. They never give up in the face of serious adversities that would drive normal people crazy. Founders must be the most optimistic persons in life and inside their organizations. Jack Ma, from Alibaba, is one great founder that have traveled the path of loneliness, anguish, and rejection, a trajectory common to the most successful startups. The man known in the West as Jack Ma was born Ma Yun in 1964 in Hangzhou during China’s Cultural Revolution, a period where his family was persecuted by the communist party. All throughout Jack Ma’s life, from childhood until building a multibillion-dollar global e-commerce technology giant, he had failed many times, been rejected, and called crazy. The story does not end there. His first two internet companies failed. In the late 1990s, after starting Alibaba, Ma tried to get venture capital funding in Silicon Valley and got rejected for running an unprofitable business model. He eventually went back to China without funding. In 1999, he gathered 17 of his friends in his apartment and convinced them to invest in his vision for the online marketplace that allowed exporters to post product listings that customers could buy directly. In 2005, Yahoo invested 1 billion dollars in Alibaba in exchange for a 40 percent stake in the company. In 2014, the company’s $150-billion IPO was the largest offering for a U.S. listed company in the history of the New York Stock Exchange. It also made Ma the richest man in China, with an estimated net worth of $30 billion as of May 2017. Thanks to his perseverance and tolerance of rejection, Jack Ma was able to build one of the largest and most influential technology companies of all time in a country with zero tradition in the industry. His example shows how founders outside Silicon Valley can also become very influential. Founders have an above average tolerance to risk. Startups, even in Silicon Valley, have an 80 percent to 90 percent failure rate. The odds are always against the entrepreneurs and just a small part of the population is ready to pursue this illogical and risky endeavor called entrepreneurship. An entrepreneur that has not sacrificed anything for their companies is not a true entrepreneur. Risk taking is not something one learns in business school. It is very likely a trait built into people’s personalities that is manifested since a young age. The risk takers I know were rebels and thrill seekers who were never satisfied with the status quo or with themselves. The world’s number one risk taker, Elon Musk, runs Tesla and SpaceX, two extremely disruptive and large companies with the most ambitious vision I have ever seen. He also spearheads initiatives such as an artificial intelligence ethics institute and a new startup trying to connect our brains directly to computers. In 2008, Elon almost lost everything and was able to reverse course. His current endeavors are so risky that he can lose everything again if he makes the wrong calls and his execution is nothing short of flawless. As of May 2017, fortunately, Elon continues to defy logic, expectations, and the odds of failure. He is living proof that one person can literally change the world if high risks are taken. The best founders are generally excellent salesmen. They have to be, literally and metaphorically, constantly selling their products to customers, investors, partners, and employees. Bill Gates strikes me as one of the best salesmen of all time. He created inferior products full of bugs (DOS & Windows) and transformed them into monopolies in just a couple of decades. Today, 90 percent of companies, governments, and consumers in the world use a Windows computer. Sure, anyone can learn how to sell, but I believe selling is more art than math. The ability to be a top salesman is one of those traits that, in my opinion, is built into someone’s personality. This ability alone is capable of taking any startup to the next level. If a founder cannot sell, he or she better find someone who can. The smartest founders are stubborn on their vision and flexible on the details. They are also avid listeners to stakeholders’ negative feedback and learn as they go. If something is not working, a startup must change course quickly. Amazon is the greatest example of a founder’s long-term vision with flexibility on the details. Jeff Bezos decided, in the formative years of Amazon, that his goal would be to offer the best experience, convenience, and price to customers, no matter what happened. Amazon was heavily criticized by investors for its low or negative profit margins during initial years, but Bezos fulfilled his promises sacrificing short-term profitability for long-term growth. Over the course of Amazon’s existence, Jeff listened to criticism and tried many new ideas, many of which failed miserably such as the ill-fated Amazon Phone. Others, in contrast, created entirely new business verticals for the company, such as the Kindle e-reader, Amazon Web Services and the Alexa virtual assistant. In 2017, Amazon became one of the top five most valuable companies in the world. I believe the former startup will be the first company to reach a trillion dollars in revenue as it expands to other areas such as entertainment, internet of things, and artificial intelligence. Flexibility and experimentation are at the core of Amazon’s long term success, and that comes from the culture imposed by the personality of founder Jeff Bezos. What differentiates average from great founders is that the latter do not work just for money. There must be a purpose or a motivator behind their goals. Some might have grown up in poverty and do not want to ever experience that again, some want to build the best products in a certain category, others may want to make their dreams come true, and a few crazy ones wish to save humanity or make the world a better place. In Silicon Valley, maybe because of its liberal and meritocratic culture, it is common to find a purpose behind the best founders. Outsiders are usually skeptical of entrepreneurs’ real intentions, and money is generally seen as the main motivator behind successful founders. You may or may not share this view about entrepreneurs such as Elon Musk, Bill Gates or Mark Zuckerberg, but you cannot deny they change things and move the human race forward. Money is not a motivator for these folks as they pledged to donate their fortunes, in life, to causes that are important to humanity. Last time I have checked, I could not find many billionaires with a purpose outside tech. Call me naïve, but I truly believe that Silicon Valley, despite all the criticism from outsiders, is a magnet for good people. CEO and co-founder of InnovaLab (http://www.innovalab.us). I blog about tech, innovation, entrepreneurship and culture. Opinions are my own.